Everybody who has spent their adult life driving knows the anguish a dead car battery can cause. In the worst case scenario, you get stuck in some place where a car’s cables can’t reach you, there’s nobody around, or you don’t have jumper cables. In that case you might have to spend a lot of money to call a service to help you out. Even if you don’t, it might be hours or even days before you’re able to get your car started. And in the best case scenario, you still have to waste 5-10 minutes that you hadn’t planned to, and in the wrong situation, that can be devastating on its own. Whatever the situation (which will usually lie somewhere between the two extremes), it can be extremely frustrating to not be able to start your car if you’re not expecting the problem. And it can create a huge headache with both the time and money it consumes. The best way to prevent all of this is to be prepared for your battery’s inevitable failure. And the best way to be prepared is to measure your battery power to know when it will fail. There are a few ways to do this with car batteries. The first, and probably most popular is battery load testing. This works in most cases, but has a few flaws. First, many load testers only give a pass or fail rating, which can be fairly obscure and somewhat inaccurate for most cars. Second, battery load testers can only test the battery, and sometimes the real problem can lie with the alternator instead. Plus, voltmeters can even be cheaper; the least expensive models run around $10. To test the battery’s charge, make sure your voltmeter is set to measure voltage and DC. Hook the red (positive) cord on the voltmeter to the same on the battery. Do the same to the black (negative) cord. A good battery will read between 12.5 and 12.8. Any lower than 12.4 volts means that the battery has less than 75% of its power, and it is going to fail fairly soon. Another way that voltmeters are useful is that they can help diagnose a problem with your car starting that has nothing to do with your battery. Whether your battery did or didn’t pass the voltage test, the actual problem can lie in your car’s electrical system, specifically, the alternator. 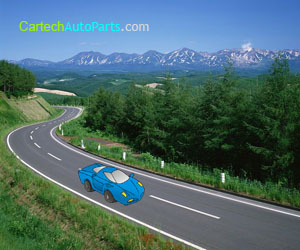 To test the alternator, simply disconnect the voltmeter turn on your car. From here, re-attach the voltmeter to the battery in the same manner as before. Make sure to do it in the correct order, or you can be shocked by the electrical current. Here, the voltage should read between 13.5 and 14.5 volts. If it is lower than that, then the alternator is not charging the battery correctly. In this case, you’ll need to take the car to a mechanic as quickly as possible; not only will the battery keep dying, but this will actually damage the battery. The types of lead-acid batteries used in cars are not meant to be discharged more than 30% on a consistent basis, and doing so will shorten the life of the battery dramatically, adding to the problem. As said before, voltmeters are a very inexpensive way to save you money, avoid a problem, and diagnose any problems that do happen. Some new batteries actually come with voltmeters, which is a hugely convenient addition that is worth looking for. Still, buying your own ensures that you will always have one handy no matter what battery you are using, and will be cheaper in the long term than buying a fancier battery. Once you do get a voltmeter, it is best to check your battery level once every other month after your batter reaches two years, in order to see its gradual degradation and so that you are able to keep your car in its best condition.